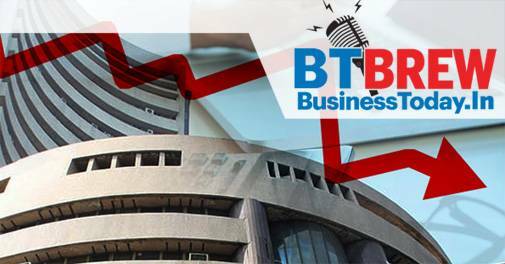 The Sensex closed marginally lower in volatile trade today ahead of the release of April-June quarter GDP data scheduled later in the day. The 30-share Sensex closed 45 points, or 0.12 per cent lower to 38,645 level. It hit intra day high of 38,838 and intra day low of 38,562 level in trade today. It lost 206.53 points in the previous two sessions. The Nifty ended marginally higher by 3 points to 11,680 level. Tata Motors (2.87%), PowerGrid (2.37%) and Sun Pharma (1.99%) were the top Sensex gainers. Investors built up fresh positions as September futures and options (F&O) series opened today, brokers said. However, volatility remained as the rupee hit the 71 mark for the first time and other global markets were trading in the negative zone on worries prompted by a report that new US tariffs on China were imminent, they added. Investors are also eyeing GDP data for April-June quarter that will be released later in the day. Top Sensex loser was YES Bank closing 5.11% or 18.50 points lower at 343.40. The stock fell a day after the Reserve Bank of India approved reappointment of Rana Kapoor as managing director and CEO till further notice from the central bank. Market heavyweight Reliance Industries fell 2.6 percent to close at 1240 level. Meanwhile, foreign portfolio investors (FPIs) bought shares worth a net of Rs 958.01 crore yesterday, while domestic institutional investors (DIIs) sold shares worth a net of Rs 1,598.67 crore, provisional data showed.